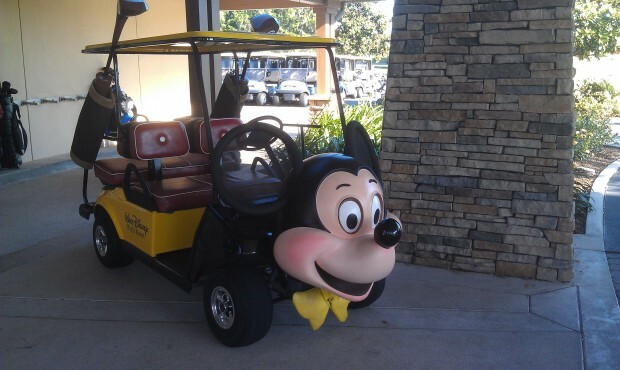 The Mickey Mouse golf cart parked near the clubhouse entrance. ← Random question time…. Why did the turkeys cross the fairway? 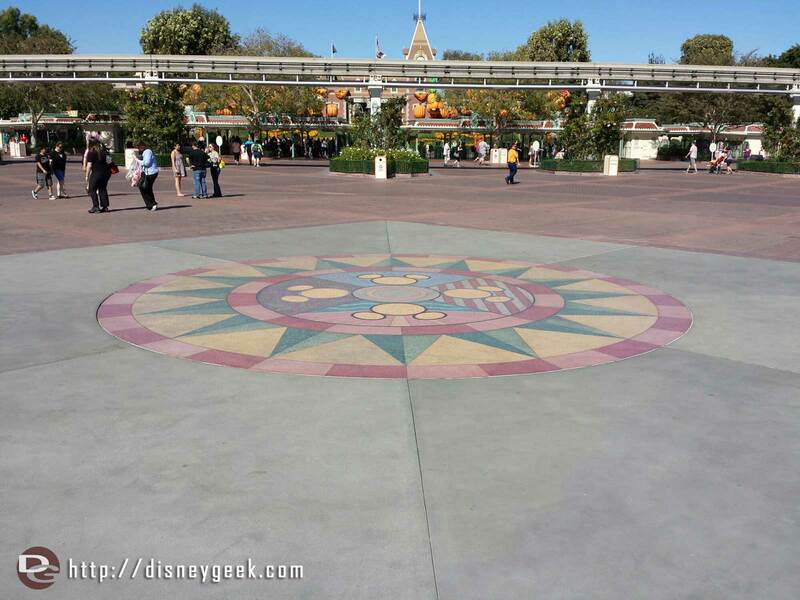 The work on the esplande between the parks has wrapped up. 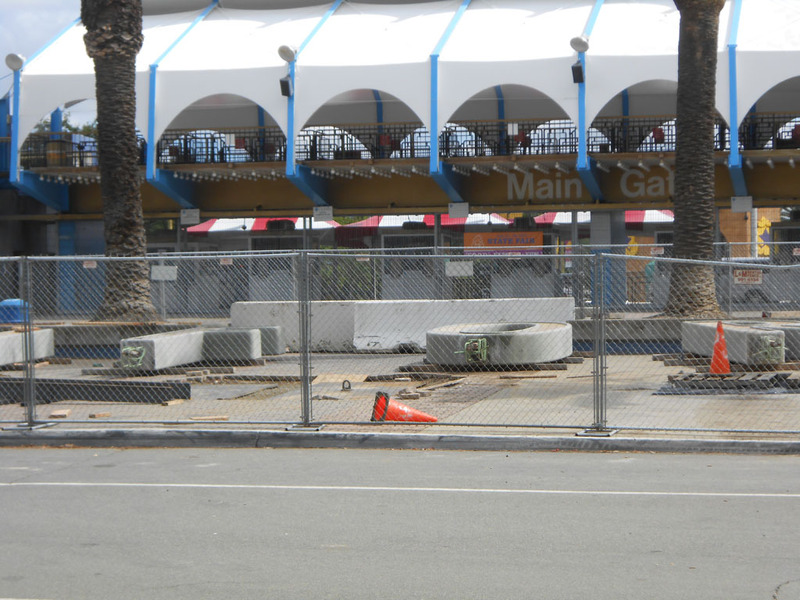 It features plain concrete around the compass now.